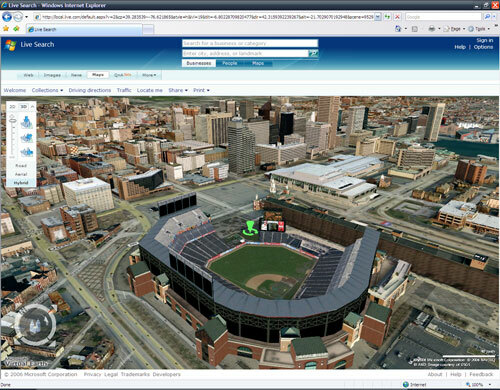 I promise this won’t become the Virtual Earth 3D Sightseeing blog, but when you are a baseball fan, pictures like this just get you excited. Only 100 days until pitchers and catchers report to spring training! That’s Oriole Park at Camden Yards for those who don’t know.